At the peak of the Russian Empire/Soviet Union, Russian territory was larger than 8.5 million square miles. You could fit two United States of America into Russia and still have plenty of room for four more Texases and an extra California, too. Russia is massive. It covers 1/6 of the surface area of the planet. It's larger than our entire continent! Your first task in understanding Russia is to understand it's sheer size. Below are a series of maps to cartographically guide set the scene for our Russian story. At the bottom of each page, we will have a collection of the RUSSIANS TO KNOW for each unit. Words are scary. Below is a shortened version of everything above. 1. Russia is the largest country on earth (1/6 of the surface area). 2. 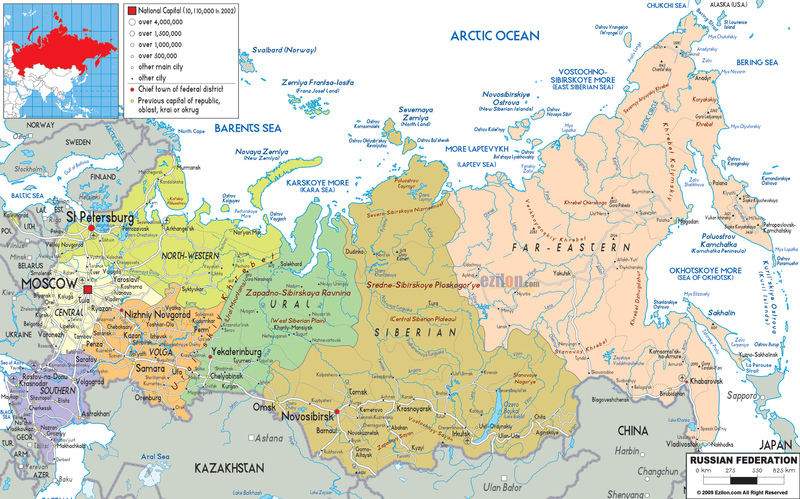 Russia is geographically diverse encapsulating multiple biomes, peoples, bodies of water, etc. 4. Prior to becoming it's own state, Russia suffered through tons of invasions. 5. The Russian state originates in a place called Kievan Rus (which is in Ukraine today).